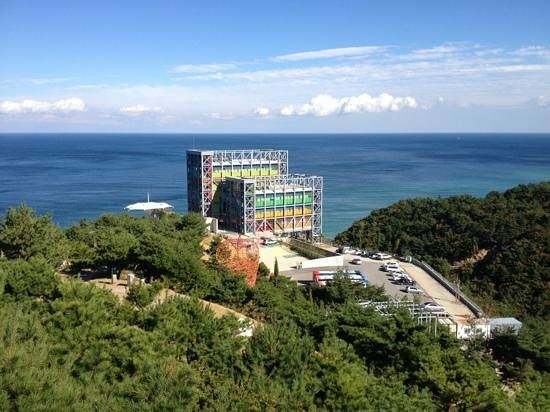 Do you want to know how to get to the gangneung (station)? There are many ways you can get to gangneung (station) such as public transportation (bus, subway / metro), taxi and Blacklink limo/transfer/shuttle service. Don't sweat outside waiting for other transportation with your luggage. Make a round trip reservation with Blacklink as you plan for your trip. It is easy, convenient and available 24/7. Then, the assigned Blacklink driver will greet you at the arrival and will drive you to the gangneung (station). You can use Blacklink for not only hotel but also Gimpo Airport (GMP), Myeongdong, Jongno-gu, guesthouse, resort, airbnb, lodging and anywhere you want to go in Korea. Check out Blacklink customer review posted below. 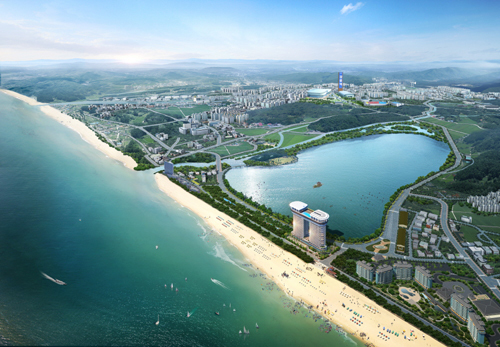 Gangneung is considered special in that it has both access to a lake and the sea. Gyeongpodae is a pavilion overlooking a Gyeongpo lake. It is said that one can see the moon five times when at Gyeongpodae. One sees the moon once in the sky, once reflected in the lake, once reflected in the sea, once reflected in the drinking glass, and once more in the eyes of a lover. The site of Gyeongpodae is known for its location east of the centre of the city. Inside the Gyeongpodae pavilion, built with 28 pillars, is the Gyeongpodaebu, a poem by Yul Gok. Gyeongpodaebu describes the movement of the heavens and the moon. The best view of the moon is on the 15th of the lunar month. The nearby Gyeongpo Beach has a sandy beach and a line of fresh seafood restaurants, with its proximity to Seoul making it a popular summer destination. Sunrises, especially the first in the New Year, are important in traditional Korean culture. The Jeongdongjin and Gyeongpo beaches in Gangneung are popular places to enjoy a sunrise.